Keratin is a protein found naturally in skin, hair and nails, in addition to other sources. In human hair, it acts both as an external protective shield and an internal structural protein. Keratin is the first thing depleted when hair is damaged physically, chemically or from environmental factors such as the sun. 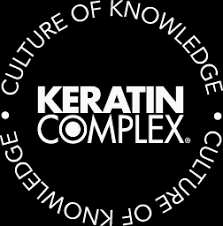 Keratin Complex’s signature keratin is comparable to the keratin present in human hair. When used in product formulations, keratin helps condition, strengthen, revitalize and repair damage. Keratin gives the hair shine, elasticity and a more youthful, healthy appearance. What is a Smoothing Therapy treatment? Keratin Complex Smoothing Therapy treatments are professional smoothing treatments powered by our signature keratin. All treatments are performed in-salon by a professional stylist. Smoothing Therapy treatments repair damage and breakage, reduce frizz, curl and unruly flyaways, and make the hair smoother and healthier-looking. They also prevent humidity, the main cause of frizz, from impacting the hair. After a Smoothing Therapy treatment, it’s easier to achieve a flawless blowout at home: The hair is more manageable, blow-drying becomes quicker and easier, and daily styling time is significantly reduced. 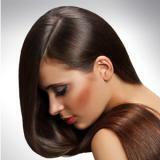 What in-salon smoothing services does Keratin Complex offer? Keratin Complex offers smoothing solutions for every hair type that cater to the desired result, cost, longevity, waiting period and time in-salon. We recommend that you first undergo a consultation with a Keratin Complex stylist to decide which treatment is best for you. Ask your stylist about our Menu of Services, which offers customizable Keratin Complex treatments to meet your specific needs. Our signature in-salon smoothing services reduce frizz and curl, improve overall manageability and versatility, and make hair smoother, shinier and healthier-looking. What happens during a Keratin Complex Smoothing Therapy treatment? Keratin Complex Smoothing Therapy treatments utilize a simple, four-step process. Your stylist will first use a special deep-clarifying shampoo to prepare the hair for treatment and to remove residue and buildup resulting from previous hair care products. Next, the selected smoothing treatment is applied; the hair is blow-dried and then flat ironed, sealing in the treatment for a smooth, silky finish. Steps may vary depending on the service performed. Do Keratin Complex keratin treatments straighten the hair? Keratin Complex Smoothing Therapy treatments are not straightening treatments. Smoothing Therapy treatments reduce curl patterns in curly, wavy or unruly hair, thus providing a straightening effect without permanently changing the structure of the hair. In addition to being easier to maintain after treatment, your hair will have the versatility to be styled curly, wavy or straight as desired. It is important to discuss your goals with your stylist to understand the overall results you can expect to achieve with a Smoothing Therapy treatment. How long will my treatment results last? Treatment longevity may vary depending on the selected treatment, your individual lifestyle, and your at-home maintenance regimen. Natural Keratin Smoothing Treatment and Natural Keratin Smoothing Treatment for Blonde Hair deliver results that last up to five months; Express Blow Out results last up to six weeks; and Advanced Glycolic Smoothing System results last up to three months. Consistent use of Keratin Complex keratin-enhanced products, including our collection of sodium chloride-free and sulfate-free shampoos and conditioners, will help prolong the results of your treatment. When can I shampoo after a Keratin Complex treatment? To promote the longest-lasting results, Natural Keratin Smoothing Treatment and Natural Keratin Smoothing Treatment for Blonde Hair require a 72-hour waiting period before shampooing. After an Express Blow Out treatment, we recommend a waiting period of at least eight hours before shampooing. You may extend the waiting period if desired after Natural Keratin Smoothing Treatment, Natural Keratin Smoothing Treatment for Blonde Hair or Express Blow Out without affecting your results. You may also use Keratin Complex Volumizing Dry Shampoo Lift Powder at any time during the waiting period to absorb excess oil, remove odors, and refresh hair and scalp. There is no waiting period after Advanced Glycolic Smoothing System. You may shampoo, condition and style as desired after treatment. Your stylist will recommend the best treatment for you based on your lifestyle, hair type and desired results. What if my hair gets wet during the waiting period? If your hair gets wet in the waiting period following a Smoothing Therapy treatment, simply blow-dry and flat iron on low heat as soon as possible. How much does a Smoothing Therapy treatment cost? Prices depend on a variety of factors, including the selected treatment, the density and length of the hair, and choice of salon. Contact your salon for specific pricing. Can I get a Keratin Complex treatment if I am pregnant or nursing? As with any chemical service, pregnant or nursing women should seek the advice of their physician before use. Does Keratin Complex test on animals? Keratin Complex does not conduct animal testing and does not test its product formulations on animals. How soon before or after a treatment can I color or lighten my hair? Hair may be lightened or colored on the same day that a Smoothing Therapy treatment is performed. Your stylist will make the proper recommendation and provide additional information during your consultation. The team met for yet another in-house education class. This class was on the Keratin Conditioning Treatment. The Smoothing Therapy line is comprised of advanced, in-salon treatments that restore and restructure the hair by infusing a special blend of hydrolyzed keratin deep into the cuticle. The hydrolyzed keratin is bonded to the cuticle with heat from a flat iron to relax the hair's subcuticle layer, resulting in renewed smoothness and shine. After the treatment, hair will be more manageable and easy to style, and will be resistant to humidity. It will feel noticeably softer and silkier, with added life, shine and vibrance. Book your Keratin Treatment Today! Education is our key to remaining the best! Questions about the Keratin Treatment? Read the Q&A featured on the product's website. Ask the Keragirls! Rewind the strands of time with the new Coppola Keratin Treatment! The ARS team met to complete a Coppola Keratin Complex class. This versatile treatment doesn’t just smooth hair; it safely provides the ultimate anti-aging boost, adds volume and restores hairs youthful look and texture for a minimum of 3 months. The sophisticated formula uses the highest quality ingredients combined with a low pH mechanism to soften and smooth every hair type without the concern of harmful chemicals. Infused with vital Keratin amino acids and damage-reversing Ceramides.Sophisticated formula uses highest quality ingredients combined with a low pH mechanism to soften and smooth coarse hair. Your hair will love it! ARS offers both the original keratin treatment (3 hours) and an express treatment (1 hour). Starting Wednesday, June 18th save $50 off of any keratin treatment. Offer expires June 30th! Since their launch in 2007, Keratin Complex has led the way with innovative technology and amazing results. It is no wonder Keratin Complex is now the leading smoothing system in the World! All Keratin Complex treatments and styling products are specially formulated to contain natural keratin protein, which rebuilds, restores and rejuvenates all types of hair. No more bad hair days with Keratin Complex! This is the full keratin treatment. Takes longer to apply and lasts longer. This is the express keratin treatment. Takes less time to apply doesn't last as long as the full treatment.